This is a private cask bottling for Norway. 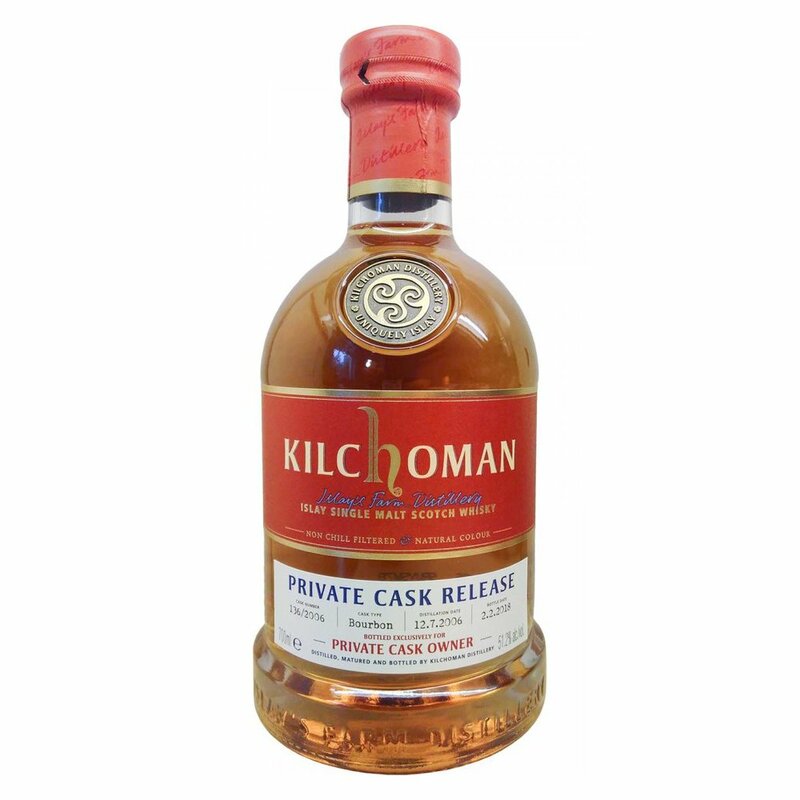 The Kilchoman 2006 11 YO Private Cask #136/2006 was distilled on 2006-07-12 and matured in a single 1st fill bourbon cask. It was was bottled 2018-02-02 with a total outturn of 236 bottles. Nose: First off, this one needs 10-15 minutes in the glass. Just pour a dram and leave it. It will bite your nose if you are too impatient. If you manage to wait you will instead be greeted with a soft vanilla kiss on the nose. There's tons of vanilla aromas here; icing sugar, marshmallows, vanilla ice cream, cool coconut milk, and Bounty chocolate. Give it another few minutes and the meaty notes I seem to always fin in Kilchoman appear in the back - very mild meatiness though. Taste: Full-bodied and quite rich mouthfeel. It is creamy and very much vanilla-driven also on the palate. More meaty now; smoked bacon and hints of sausages. It has a bitter-ish, oaky and orange-y edge to it though. Driftwood bonfire, with smoking seaweed and salty sea spray. Finish: Medium long finish. More oaky now, with camphor and a nutty side. Malt drops, milk chocolate and cinnamon in the back. Comment: A rock solid Kilchoman, once you give it time to breathe.